We all love a fairytale, from the 'Once upon a time...' right through to the 'Happily ever after' ending, and at Efteling Theme Park Resort in Holland there's the tales of Cinderella, Rapunzel, Sleeping Beauty, Red Riding Hood, Rumpstiltskin, Hansel and Gretel and more to explore. So, we are giving you the chance to win an enchanting family break to Efteling Theme Park Resort, right here online. Let your kids’ imagination run wild as Efteling is the Netherlands largest and most popular theme park, open 365 days a year – it’s easy to get there from the UK! Watch all of your favourite fairytales come to life in the enchanting Fairytale Forest, glide through a world filled with fairies and trolls on Droomvlucht or dare to ride Baron 1898 with its 123-foot freefall into an underground mineshaft! There is something for everyone at Efteling, from amazing live shows, enchanting attractions and thrilling roller coasters to Aquanura, Europe’s largest water show, third biggest in the world plus the new CARO theatre show. 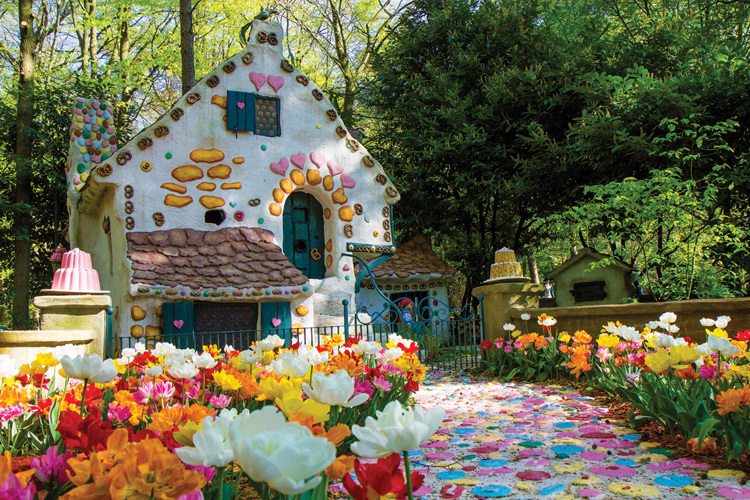 Discover Efteling…more than just fairytales! Does that sound like your family's perfect break? Efteling Theme Park Resort is only an hour and a half drive from the DFDS port in Ijmuiden, so a world of fairytales, delightful dreams, thrills and adventures isn't far away. Plus, under threes go free. There is so much to do, you’ll need more than one day, so why not book to stay in one of Efteling’s hotels or villages? Choose from a fairytale themed suite, woodland cottage, lakeside lodge, tree house or a cosy cabin in the sand dunes; all from £320 for a family of four staying one night, with breakfast and two days park entry. Plus, if you book your trip four months in advance you can enjoy a 15% early bird discount.